With further "hair cut" of the naira on Tuesday, it does seem President Muhammadu Buhari has finally surrendered to the god of market forces. Coming two weeks after the removal of the much romanticized subsidy on petrol and five days short of the administration's first anniversary in office, the honeymoon is finally over between the general and a nation hypnotized by the promise of change. 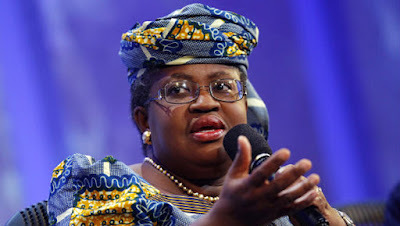 In the last twelve months, the Nigerian leader had consistently thumbed his nose at IMF/World Bank's prescription to devalue the naira and cut subsidy to mitigate gathering economic storm in a rare display of nationalist passion over economic reason. But there is a limit to where national pride can take you in the face of relentlessly bruising adversity. Obviously, the heart is willing, but the national flesh is sufficiently weakened. In case the gap-toothed general ever harbored the illusion, by now it should be clear to him that there is a huge difference between the heckling of a rabble outside the party summit and the howls of sharks and crocs of the market-place. By officially devaluing the legal tender, more cash will certainly be available in naira term when next the Federation Account Allocation Committee regroups in Abuja to share oil receipts between the three tiers of government in the federation. But the marginal increment will hardly be enough to guarantee enough breathing space for most states already choking financially. As the nation marks the first anniversary of the Buhari administration in 48 hours, the opposition will not have any difficulty listing the woes added to the nation's misery index in the past 52 weeks. Arrears of unpaid salaries are mounting in the states. Perceived lopsidedness in federal appointments. Petrol now costs more. The naira has fallen to 340 to a dollar in the black market compared to N280 to a dollar when Goodluck Jonathan handed over. Terrorism by armed herdsmen is on the rise. The list goes on and on. While most of these observations may indeed be valid, the question one likes to pose instead is this: could Jonathan therefore have been a better choice? The answer is a resounding no. To begin with, those thirsting for quick fix or salvation today need be reminded of the crossroads the nation found itself last year: it was simply a choice between a dollar-spending guy wallowing in both moral and intellectual bankruptcy and a gangling fakir holding aloft a flicker of hope over a prostrate nation. 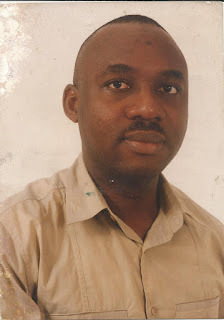 But much as one believes the Buhari presidency could do better if it brings more flexibility to bear by casting away its insularity and availing itself of the abundance of talents in the country to solving national issues, Jonathan could certainly not have been a viable alternative. True, Buhari's wave may thus far not have lifted the boat of the average Nigerian above the wave of aches in the vast ocean of misery. But that hardly makes the clueless Jonathan any more attractive. Viewed dispassionately, the challenge of the day is devising coping strategy in the face of global recession. From his abysmal track record, a Jonathan would be lacking both the ethical grounding and the presence of mind to navigate the boisterously treacherous weather such as this. For instance, in case it ever occurred to Jonathan to give financial bail-out to insolvent states, he certainly would not see any wrong in extending the gesture only to PDP states unlike the Buhari's bi-partisan approach since last year. Jonathan's notoriety in secretly passing on ecology funds to only PDP states for the six years he reigned is already well documented. Indeed, an honest evaluation today will admit the nation's present economic difficulties are not unconnected with the global meltdown unleashed by the steep crash in commodity price. Worse, not only has oil price tumbled to the nadir, the nation's migraine is particularly exacerbated by its inability to meet the OPEC quota of 2.2m bpd on account of resurgent militancy in the Niger Delta, which has more than halved her output. So, the truth: those who failed to plan for the rainy days such as this are the worst hit today. Wise nations like United Arab Emirate had, over the years, invested their oil money in building world-class social infrastructure. Today, without oil, UAE can survive on tourism alone. Like Nigeria, oil-rich Venezuela also proverbially gobbled its own yam and seedling. Today, Hugo Chavez's country which only a few years ago luxuriated in unprecedented affluence, so much that it became Father Xmas to fellow Latin American countries, is tottering on the verge of socio-economic chaos as public queues lengthen for essential commodities. That the economic headwinds are hitting Nigeria hard today is largely because of the mindless looting and squandermania of the Jonathan administration. The slush Excess Crude Account it inherited was systematically decimated. What was not shared with the 36 governors was "disappeared" through all manner of accounting shenanigans invented by Ngozi Okonjo-Iweala, the self-styled "Economic Coordinating Minister". By CBN's own account, Nigeria's foreign reserve shed a colossal $11.6b between April 2013 and April 2014 under Jonathan. And between April 2014 and April 2015, another $7.8b was blown. The great irony is that the external reserve grew leaner and leaner at a time of high oil price. The picture is better appreciated placed side-by-side the fact that, under Buhari's prudent watch, the same foreign reserves only fell by $2.9b from April 2015 to April 2016 at a time of low oil price and intense war against Boko Haram in the North-east. 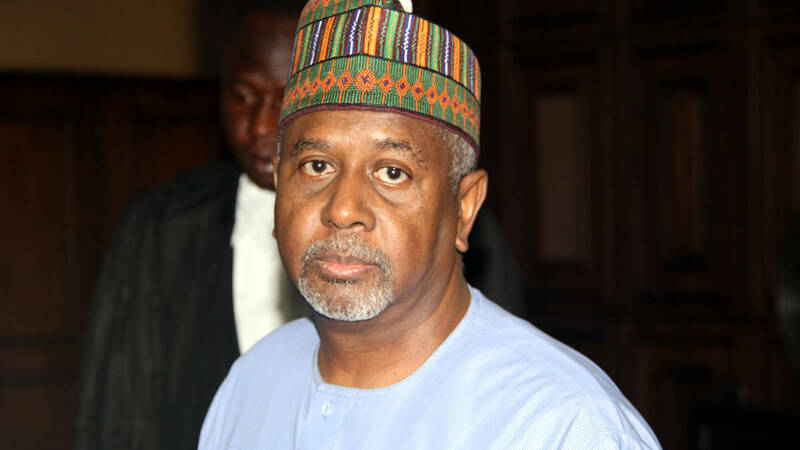 Earth-shaking revelations from Dasukigate, just one item on the ledger of official larceny under Jonathan, are now all too familiar to warrant further mention here. On that alone, the national treasury was bled to the tune of a reported $15b, half of the foreign reserve bequeathed to the Buhari government. Note, we are even yet to approach the ultimate slaughter-house: the NNPC. Indeed, without the change of guard in Abuja last year, we would never have known why the Nigerian military, once dreaded and revered for its brave exploits in foreign lands, began to run away from the battle-field against ragtag Boko Haram insurgents. We would never have known that money meant to buy arms for soldiers to fight was diverted and shared by PDP leaders. Yet, the poor soldiers who refused to confront Boko Haram with bare hands were rounded up and summarily court-marshaled. Dozens were thus sentenced to death for "cowardice"! 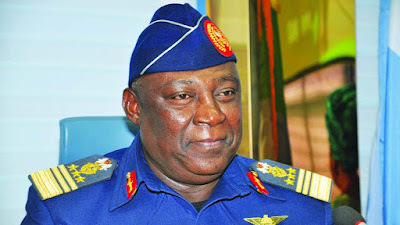 Without conscience or fear of God, even Alex Badeh would turn the biblical Jeremiah by openly lamenting last year while being pulled out following his retirement as the Chief of Defence Staff that whatever the shortcomings of the military under him should be excused on the fact that "We were left to practically fight Boko Haram with bare hands". But ongoing revelations from Dasukigate have clearly shown that whereas the foot-solders were truly left to fight with bare hands at the front-lines, Badeh was busy gorging on the defence budget not just with two hands, but with two feet as well! Apart from billions systematically creamed off defence contracts over the years, he also allegedly pocketed over half a billion naira monthly from the leftover of salary vote from which he erected palaces for his young sons and multi-billionaire emporium for himself. All these dirty secrets would never have come to light had the fakir from Daura not chanced on the national stage last year. In their unflinching prodigality, Jonathan and this thieving clan were not content at looting the exchequer; they also gave the family silver away, apart from, generally lowering the ethical scale on which government transactions were conducted. According to a current report by senate ad-hoc committee, Jonathan further bled the national economy to the tune of N500b in form of import waivers given to friends and cronies between 2011 and 2015. To say nothing of trillions of naira earlier paid out to PDP campaign financiers between 2010 and 2011 as "petrol subsidy" payments. In a way, part of the deep wounds already inflicted on the public psyche is inadvertently exposed in the audacity in some quarters today to decry the ongoing naming and shaming of past looters of public funds as selective. Of course, beneath that is a brave effort to divert venom from being poured on an aberrant conduct that should ordinarily be condemned as a contamination of social norm. Alas, shamelessness is disguised as a principled defense of "the persecuted". More like making a case of amnesty for an otherwise certified marauder simply because his accomplices still roam the high street haughtily, with both hands in their pockets, unmolested! When exactly did we plumb this low in the cesspit of perfidy? True, PDP's big men and women so far dominate the casualty list. But this is only because they were in custody of the cash cow until yesterday. With the precedent now set, APC's big men and women would also be held to the same standard if the baton of power changes hands tomorrow. That is the promise of democracy. In the final analysis, Buhari's chief milestone in the past 365 days will not necessarily be the near clipping of the Boko Haram's wings. Neither will it be the relentless war on official sleaze. Nor is it the sprouting of a new culture of sobriety and modesty in public life. Rather, his best so far happens to be perhaps the most cardinal of all that can be: the restoration of trust as the basis of a social contract between the state and the citizenry. That it is still possible for a country to be run without the led living in the morbid fear that their leader will steal. For now, no one can tell with certainty what point billionaire Mohhamed Indimi was trying to prove or who he wanted to impress when a few years ago, he reportedly shelled out a fortune to endow a chair at Lynn University, Florida, United States. But in case it was to burnish his image on the global stage, it seems to be backfiring back home in Nigeria today. Two of his daughters (Amouna and Hauwa), graduated from the American varsity. Then, the news began to spread that the Borno-born Forbe-listed money-bags had donated to the institution a swanky $14m (N4.2b) complex named after him as "Mohammed Indimi International Business Centre". So smitten at the architectural wonder are the school authorities that they proudly announce on their website it's purpose-built "to accommodate our growing College of Business and Management" and "outfitted with technology systems to enhance the students’ educational environment, with 11 classrooms". Its other exquisite appurtenances include the "Venture Lab, a branch of the CEI, which will transform students’ start-up concepts into ready-to-launch businesses". While accolades are understandably showered in US on the Chairman/CEO of Oriental Oil and Gas for a gift that undoubtedly seeks to extend the frontiers of scholarship, many in his own country would certainly have wished his charity began at home. As one of the irreverent commentators put it on the social media, "he has never ever donated a plastic chair to the University of Maiduguri" in his native Borno "or any university in the Niger Delta" from where he harvests his billions on account of being a custodian of an oil bloc allocated to him decades ago by the Ibrahim Babangida military administration. Indimi is not just starkly missing on the academic radar back home, his weight is hardly felt in terms of bankrolling humanitarian causes either. Many would expect the man rated the tenth richest man in Nigeria would proportionately be the biggest funder of public causes at least in the North-east, if not the entire north today, especially given the provenance of his wealth. With due respect, his is cheap money, rent-seeking put plainly. Incidentally, his home state, Borno, is today worst hit by the Boko Haram pestilence. Even at the best of times, Borno, alongside other states in the North-east zone, accounts for the biggest share of the 10.5m out-of-school population in Nigeria. According to UNESCO, Nigeria tops the infamous list across the universe. No prize for guessing why the youthful population in the North-east zone is then easily brainwashed and recruited to become Boko Haram foot-soldiers. When two or three years ago, Goodluck Jonathan gathered the moneyed class to a fund-raiser for millions of the internally displaced in the North-east, it was the likes of T Y Danjuma and Aliko Dangote, and not Indimi, that offered to take the front-row. No one can readily recall now if Indimi announced any donation at that occasion in Abuja and if he did, it is doubtful if the size of the cheque was commensurate to his gargantuan wallet. Given the alarm raised recently by Danjuma, the head of the relief fund, we may now need an audit to ascertain those who have redeemed their pledges. Were the $14m to be applied in Borno today, it certainly would go a long way to putting smiles on the faces of hundreds of thousands of Indimi's fellow compatriots scattered and reduced to destitute in IDP camps over a war not of their own making. "Save School Initiative" floated few years to make schooling safer and boost enrollment in the Boko Haram-ravaged zone could only boast of $10m, $4m short of what the "son of the soil" freely gave away abroad. Ironically, Governor Shettima of Borno State a few days ago announced his intention to embark on an international shuttle to solicit financial aids to rebuild his state laid prostrate by Boko Haram. Pray, assuming he took his begging bowl to Florida tomorrow, how many would believe he is the No 1 citizen of the same state that birthed the great Indimi who had gifted them a multimillion-dollar centre from the abundance of his pocket. So, is anyone still in doubt why Nigeria is viewed from outside as a country of great paradox: exporting what she lacks and importing what she has in abundance.